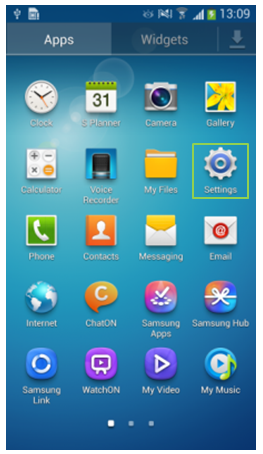 How Do I enable and disable TalkBack on my Samsung Galaxy Note3? TalkBack is a feature to aid blind and low-vision users. It gives spoken feedback on actions, including descriptions of what has been touched, selected and activated. Follow these steps to enable or disable it. Note: if TalkBack is already enabled you must double-tap the screen before you are able to scroll down. 1. From the Home screen touch Apps. 2. 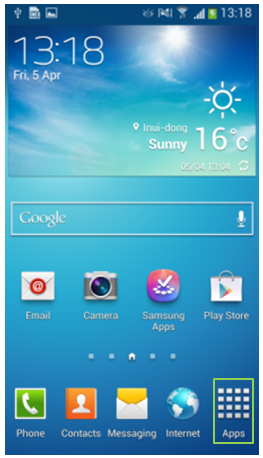 Touch Settings (you may need to swipe left or right to locate it first). 3. Scroll down to locate and touch Accessibility (you may need to touch My Device tab first, depending on your device's settings layout). 6. Touch the slider in the top-right of the screen to put it in the 'on' position (turning TalkBack on) or the 'off' position (turning TalkBack off).